There was about a cup of watermelon leftover, that had unfortunately gotten crushed under some Tupperware (thankfully it was in a ziplock bag!) 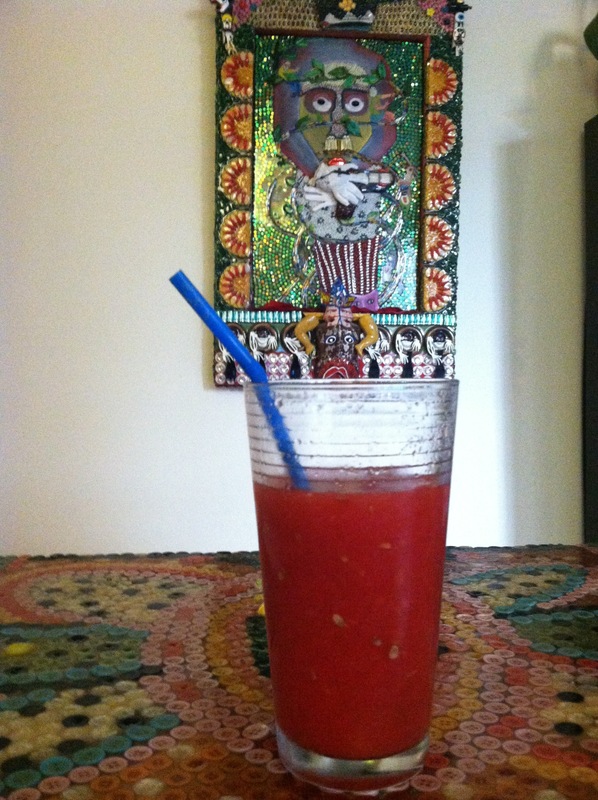 so this morning, because it’s starting to be a little warmer, a squirrel was on the deck…I could hear birds…our mortgage was approved….I thought of summer, and decided watermelon juice was in order. But my all time favorite is fruit…blended. Try it today for an easy reminder of a summer treat! Z and I whipped it up in the blender, give a kid a button that emits a loud noise followed by juice, that’ll be a happy kid!